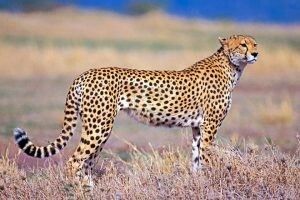 Kidepo National Valley Park which is 1,442 square kilometers lies in the rugged semi-arid Karamoja province valleys and its 700km from Kampala. It was Gazetted as a national park in 1962, has a profusion of big game and hosts over 77 mammal species as well as around 475 bird species. It is one of Uganda’s prime most remote but spectacular national parks that harbors scenery unsurpassed in any other park in East Africa. 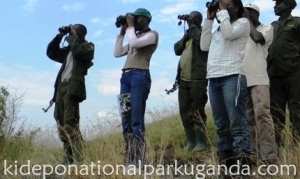 Most of the tourists that visit nature gifted park comment on the scenery and often promise and do come back to re-visit Kidepo, for according to them this tour can’t not be any better anywhere As a mysterious Uganda safari tour destination, located in Uganda’s border with Kenya and Sudan, The Park provides breathtaking savannah landscapes that end into horizon which are rugged. The park has a wide latitudinal range that caters off a wide range of climatic conditions that have favored vegetation which is diverse. As result this has facilitated the growth of a various animal species in the park that are equally abundant including many not found anywhere else in Uganda. The northwestern boundary of the park runs along the international frontier with South Sudan and adjoins against the Kidepo Game Reserve. Since time memorial the Indigenous Karamajong farmers and Dodoth pastoralists were inhabitants of the area before it was gazetted as a game reserve by the British colonial government in 1958 with the aim of protecting animals from being killed. Park is one of those recommendable parks in Pearl of Africa- Uganda and most of the tourists who persist to travel on the land up to there have lived to wonder about this outstanding wilderness in Africa and Uganda in particular. The park consists of the two major valley systems of the Narus River valley and Kidepo Valley. The floors of the Valleys are estimated to lie between 3,000 feet (910 m) and 4,000 feet (1,200 m) Kanangarok (also spelled Kananorok or Kanatarok) is a tepid in the extreme north of the Park, beside the boundaries of South Sudanese. The spring happens to be the most outstanding source of water in Kidepo national park. The type of soil in the park is clayey like. At the park, black clay and sandy-clay loam are the most predominate, whereas the Narus Valley is composed of freer-draining red clays and loams. The park’s altitude ranges between 2,750m and 914m above sea level. The park’s Habitat is described to be Semi-desert scrub, also an open thorn-bush, long and short-grass open tree savannas, Kigelia woodland, riparian woodland including Borassus thick wood-land which looks like “Miombo”, Montane forest and granite out-crops and during the dry season, the only outstanding source of water in the park is found mostly in swamps and remnant pools in the broad Valley of Narus which is near Apoka. These seasonal wetlands combined with the open savannah terrain to form the Narus Valley the park’s prime game viewing location. 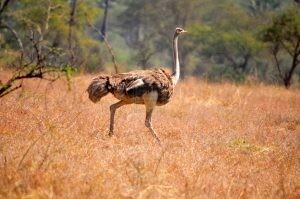 Kidepo Valley National Park is best known for birding safaris in Uganda which is also called heaven for the birders. It boasts of a bird list of almost beyond 475 bird species and this makes it rated number two after Queen Elizabeth National Park. Amongst the list of dry, eastern ” specials” not found in any other Ugandan national park are some of East Africa’s rarest and most considered after birds, such as the Black-breasted Barbet, Apallis. .
Kidepo`s vegetation is an open tree Savannah grass land which varies much in structure and com-position. 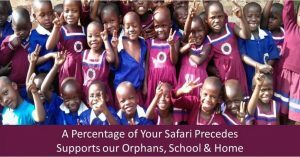 It is dominated by Mountain forests some of the places which are high, while areas along River called Lorupei which is densely covered by acacia like forests. 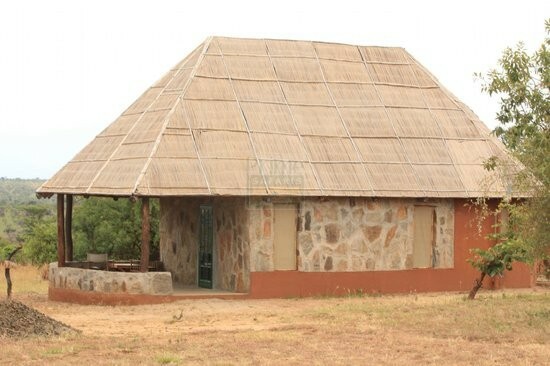 The game and Vegetation of the park is more typical of Kenya than other parts of Uganda where the landscape throughout is studded with, rocky outcrops, inselbergs and small hills which is a combination that makes Kidepo a unique prime tourist destination. Hiking is usually carried out a few kilometers from the Park Headquarters on Mountains Lamoji, The magnificent Kidepo river valley occupied by Borassus palm forest which can be viewed by interested visitors. 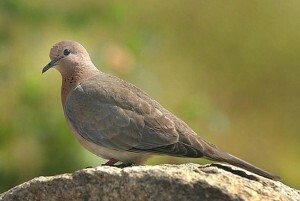 The Park has proven a life time memory to great birders, internationally due to her unique -diverse list of birds it has to offer to visitors. Semuliki National Park Uganda is located in Bwamba County, a remote part of the Bundibugyo District in western part of Uganda. 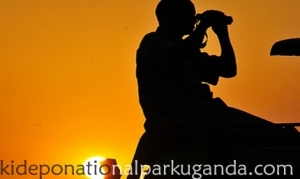 Semliki National Park was recognized as a Uganda safari destination national park in the month of October 1993, and it happens to be one of smallest and newest national parks. Semuliki National Park lies on border between Uganda and Democratic Republic of the Congo. The Rwenzori Mountains National Park boarders Semuliki park Uganda on the south-eastern part and Lake Albert on the northern extreme. The park is found within the Albertine Rift and in the western arm of the East African Rift. It is lying on a gently flat land escape which ranges from 670 to 760 m (2,200 to 2,490 Ft.) above sea level. 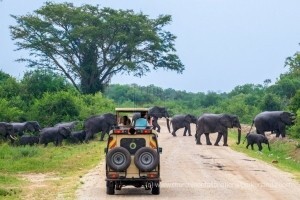 Historically from year 1932 to year 1993 when this Uganda safari park was gazzetted, the area current occupied by Semuliki National Park was protected and managed as a forest reserve by the colonial government before being taken over by the Ugandan government’s Forest Department. It created and gazzetted into a national park by the Ugandan government in October 1993 and the main aim was to protect the forests as an integral part of the protected areas of the Western Rift Valley. The park receives an estimated average rainfall of 1,250 mm (49 in) with its rainy season being from the month of May and from September to December. During this rainy season various areas in the park are un accessible due to the floods and the temperatures at the park keep changing from 18 degrees to 30 degrees. 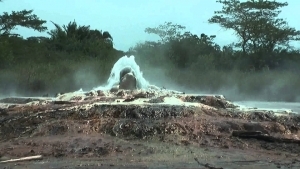 Semiliki National Park is located in the boarders of the two rivers i.e. Semuliki and Lamia rivers, These Rivers are have for so long acted as watering places for the various fauna and flora in the park. The rooms at Apoka have been constructed in way that they give maximum comfort in to guests. Some of the things in the lodge are made by hands by the help of local craftsmen, everything is large and capacious. The lodge has ten well-built expansive rooms with natural canvas walls that surround a rocky kopje with endless views across the savannah. The private verandas and inside sitting rooms are built in manner that they act as comfortable places where clients can relax, read and sprawl.Big hand-hewn beds with soft duvets are draped with mosquito nets, hand-woven woolen carpets, extra-large plush towels, over-sized dressing gown you may be as far away from the city as you’ll ever be, but you won’t miss a thing. Step outside to a sheltered terrace and slip into your own outdoor stone bathtub, big enough to fit the whole family. Nga’Moru Camp is situated on the border of the Kidepo Valley National Park, only 4 km from the Katarum Gate. 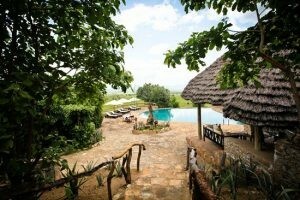 Comfortable accommodation is provided in either the Safari Tents under thatch or in the Cabanas. Nga’Moru is located on a hill, with spectacular views of the Narus Valley and the savannah plains stretching all the way to the Morungole Mountains. They offer a true bush experience in one of the beautiful game parks in Uganda. The hotel facilities are few but only limited to Laundry facilities, On-site Parking. Nga Moru Wilderness Camp always requires guests to deposit at least 50% in order to confirm booking and the balance is payable 30 days prior to arrival. 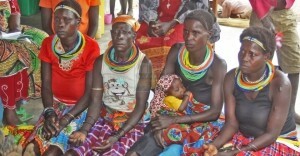 The Rest Camp is located in Kidepo Valley national park in northeast part of Uganda specifically in Karamoja region. The Camp is current operated by the Uganda Wildlife Authority, and it offers comfortable bandas within the national park, including bedding, mosquito netting and showers. 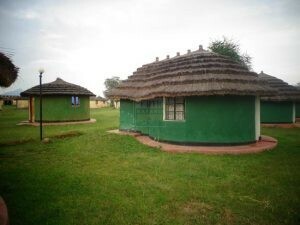 It is situated in the westerly Narus Valley, this park authority facility offers simple accommodation in ten thatched rondavels. Sixteen self-contained chalets are offered at Apoka Rest Camp which is a hostel consisting of Fourteen Bandas each having 2 beds; the Bandas are actually not self-contained. With regard to visitors who choose camping, this park has 2 ‘Do it yourself’ camping grounds. You have to carry your own tent along with other camping gear. Guests are recommended to carry enough food as well as drinks to last them throughout their stay within the park. Cooking may be organized by the staff of the camp and also other additional diet for example chicken plus goat meat may be organized from the close by community intended for visitors that plan to stay for a longer time.